Taste test: These are fairly hot chips. 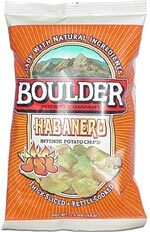 The heat is moderate when you're eating the first chip, but it kicks up a notch during the aftertaste and keeps growing as you eat subsequent chips. It's not painfully hot for the true lover of hot chips, but hot enough that most people would seek out a cold beverage. The aftertaste linger for quite a while. Besides the heat, there's nothing really special about the flavor of these chips. Smell test: A hot smell, pretty good. Makes your mouth water. 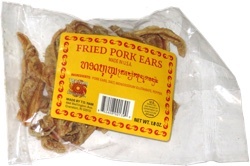 This snack was discovered by Jeremy at Denver Airport. Review published .